Northern New Jersey counties of Hudson, Essex, Union, Bergen, Passaic, Middlesex, Monmouth, and Ocean. Made men (full members) are Italian or Italian-American. Criminals of other ethnicities are employed as "associates." 40 made members, 400 associates approx. K&A Gang and other gangs in New Jersey. The Genovese crime family's New Jersey faction is a group of Italian-American mobsters within the Genovese crime family that control the family's interests in organized crime activities in the state of New Jersey. The New Jersey faction of the Genoveses have maintained a strong presence in the North Jersey area since the prohibition era. The faction is divided into multiple crews and has increased in power over the years with members controlling illegal activities in labor racketeering, loansharking, extortion, and illegal gambling. Members within the faction have held top leadership positions in the Genovese family dating back to the 1930s with underboss Guarino "Willie" Moretti. From the 1990s until his death in 2010, Tino "the Greek" Fiumara had been in control of the New Jersey faction. The faction started as a bootlegging crew under the control of New York Masseria family boss Giuseppe "Joe the Boss" Masseria. During Prohibition, the faction was in charge of smuggling large amounts of alcohol into New York's speakeasies. At the peak of Prohibition in the 1930, violence erupted between the two rival New York families. Known as the Castellammarese War, Masseria the boss of all bosses battled with Salvatore Maranzano the boss of the Brooklyn-based Castellammarese clan for control over all Italian gangs in the U.S. Masseria was murdered in April 1931, followed by Maranzano's murder in September 1931, ending the war. Charles "Lucky" Luciano established the Commission and the Jersey faction continued working for his family. The alliance of Guarino "Willie" Moretti and Abner "Longie" Zwillman operated in North Jersey for the Luciano family. Zwillman was his own boss, known by the media as the Al Capone of New Jersey because he controlled a majority of the illegal alcohol in Newark. Moretti, the highest ranking caporegime for the New Jersey faction, dominated illegal gambling in the state with his Jewish associate Zwillman. In early 1937, Newark family boss Gaspare D’Amico fled the U.S. after a foiled hit ordered by Joseph Profaci. The Commission decided to divide up his territory among the Luciano (Boiardo crew), Gagliano (Jersey crew), Mangano, Bonanno, Badami, Profaci and Philadelphia (North Jersey crew) families. Luciano was arrested in 1937, leaving Frank "the Prime Minister" Costello as the acting boss of the family. Moretti, a cousin to Costello, was promoted to underboss. Zwillman continued to align with the Lucianos, while Moretti was replaced by Newark capo Ruggiero "Richie the Boot" Boiardo. Zwilman and Boiardo were previously enemies fighting for control of territory in Newark. They decided that fighting wasn't important and focused on controlling the number games throughout Newark. The three continued to operate peacefully together, but Moretti became mentally ill by the early 1950s. He was executed by a contract killer while eating lunch on October 4, 1951. Vito Genovese believed the family belonged to him, so he attempted to take it over from Costello. A key factor was Costello's weakening alliances - with Luciano deported in 1946 and Moretti murdered in 1951, Costello's only major remaining supporter was Mangano family boss Albert Anastasia. Genovese had gained the support of Lucchese boss Gaetano "Tommy" Lucchese and Mangano underboss Carlo Gambino. In May 1957, Genovese and his allies ordered the assassination of Costello. This failed, and Costello was only wounded. The attack made Costello aware that Genovese would never stop and he retired instead, leaving Genovese as the new boss. Under Genovese's leadership, Gerardo "Jerry" Catena was promoted as the new boss of the New Jersey faction and as underboss of the family. Catena, an ally of Genovese, depended on Boiardo and Angelo DeCarlo to help run the faction as his capos. In 1957, Genovese gathered the bosses of the top Mafia families for his Apalachin conference, which ended in the arrest of several bosses and the realization of a nationwide network of organized criminals. After the failed conference, Genovese was closely monitored by the government, and arrested in 1959 on a heroin conviction. Zwillman hanged himself on February 27, 1959, upon being summonsed to appear at the Valachi hearings. Most of his rackets were taken over by the Jersey faction. According to the Valachi hearings, the upper administration of the Genovese family included acting boss Thomas "Tommy Ryan" Eboli, New Jersey underboss Jerry Catena and consigliere Michele "Mike" Miranda. Throughout the 1960s, Catena continued to work with the upper administration. In 1970, he was subpoenaed to testify in Newark, but refused to answer any questions and was held in contempt. Catena was sentenced to five years in prison; after his 1975 release, he retired to Florida. Anthony "Tony Pro" Provenzano became one of the most powerful capos in New Jersey with his connection to Teamsters Union leader Jimmy Hoffa. Provenzano served as vice president of the union's Union City branch during the 1950s. In that office, Provenzano was able to embezzle money from the union's pension fund, receive kickbacks from construction companies to work on sites, and use his title as a legitimate source of income. Both Provenzano and Hoffa were imprisoned in the mid-1960s for their part in the corruption of the Teamsters Union. In the early 1970s, both men were out from prison. On July 30, 1975, Hoffa disappeared after setting off for a secret meeting with Provenzano and Detroit's Anthony Giacolone. 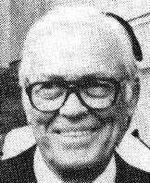 In 1978, Provenzano was convicted of embezzling from the union. He eventually died in prison in 1988. By the early 1980s, Louis "Bobby" Manna became the leader of the New Jersey faction and the family's consigliere with the promotion of Vincent "the Chin" Gigante as the boss. Months later. on March 21, 1980, Philadelphia boss Angelo "Gentle Don" Bruno was murdered. The killing prompted discussions and plans by the Genovese and Gambino families to take over Bruno's criminal operations. The negotiations proceeded without incident until the murder of Gambino boss Paul "Big Paul" Castellano in late 1985. Manna was displeased over John Gotti's unsanctioned hit of Castellano and his accession as new boss, but he continued discussing the takeover of Bruno's operations. By 1987, the relationship between the two families had deteriorated. Gotti had sent word to Manna that the Genovese family should take over Bruno's North Jersey territory and leave more profitable South Jersey operations in Philadelphia and Atlantic City to the Gambinos. Manna, enraged and insulted over the offer, began planning John and Gene Gotti's assassinations. Making matters worse was, following the murder of Genovese Jersey capo John DiGilio in May 1988, the Gambinos took over the International Longshoremen's Association. The Gambinos placed Anthony Pimpinella of Brooklyn as the new head of the union, allowing them control over the waterfront rackets at the Newark-Elizabeth port. Federal agents received information on Manna's plan to have Gotti killed and informed him on the emerging danger. In 1990, Manna was indicted for racketeering and conspiring to murder John and Gene Gotti. He received a life sentence and is currently imprisoned in the Federal Correctional Institution in Fairton, New Jersey, with a projected release date of February 20, 2056. In the mid-1970s, Tino "the Greek" Fiumara began representing many Genovese interests in New Jersey waterfront rackets and maintained a working relationship with Lucchese Jersey boss/capo Anthony "Tumac" Accetturo. One of his biggest rivals for control of these rackets was DiGilio. Fiumara was convicted in 1979 of labor racketeering and federal extortion in Newark and was sentenced to 15 years in prison. He continued to hold power by promoting soldier Michael "Mikey Cigars" Coppola as acting capo. Coppola received orders from Fiumara throughout the 1980s. When Fiumara was released from prison in 1994, he retook control over his crew and the faction. Manna was imprisoned in 1989 for planning the murder of John Gotti, and ordering the murder of John DiGilio. Coppola was arrested on murder charges in 1996, which he decided to flee from and became a fugitive. Fiumara began taking over of all the most lucrative rackets in New Jersey, including the docks. However, in 2000, he was imprisoned for violating his parole. He decided to promote Lawrence Ricci and Michael A. Borelli as co-acting capos to secure his rackets and protect his power. Ricci oversaw the crew'swaste removal, trucking and waterfront rackets while Borelli controlled the illegal gambling, Teamster's Union and construction rackets. After Fiumara was released from prison and moved to Long Island in 2005, Ricci was indicted on labor racketeering charges along with two other members of the International Longshoremen’s Association. Ricci went missing that October, and his body was found inside the trunk of a car outside a New Jersey diner the following month. On March 9, 2007, Coppola was arrested after eleven years on the run as a fugitive. The FBI offered him a deal to become an informant in their case against Fiumara for Ricci's murder. Coppola refused to testify and was sentenced on December 18, 2009 to 16 years. On September 16, 2010, Fiumara died of natural causes. The Genovese family currently maintains five crews in New Jersey, each overseen by a capo. As of the beginning of 2010, these capos were Fiumara (died of natural causes that year), Angelo Prisco (currently serving life sentence in prison), Ludwig Bruschi, Joseph Gatto (died of natural causes in 2010) and Silvio DeVita. In addition, the family appoints one person as the boss of the New Jersey faction, who directly oversees and maintains the crews. Since the 1990s and up until his death, Fiumara had been in control. His influence in New Jersey was so strong that the Genovese family was considering him as a candidate to take over as boss of the entire family. It is unknown yet who has taken over as boss of the New Jersey faction. Fiumara was the leader of this crew and the entire New Jersey faction for the Genovese family. He controlled unions from Newark-Elizabeth port and had been involved in loansharking, extortion, gambling, union and labor racketeering throughout New Jersey counties of Union, Essex and Bergen. Fiumara used Stephen Depiro as acting capo to control and handle all of the illegal operations in the New Jersey piers and docks. On September 16, 2010, Fiumara died of natural causes  and it is unknown who is now controlling the crew. Angelo "The Horn" Prisco became a capo in the Jersey faction in the late 1980s after the murder of capo John DiGilio. Prisco took control of the crew operating from Hudson County's Bayonne and Jersey City waterfronts, and maintained operations in Monmouth County and Florida. In early 1990s, he was ordered by Gigante to murder his cousin, Angelo Sangiuolo, after he was caught robbing from the family's gambling operations in the Bronx. In 1994, Prisco was charged with racketeering and DiGilio's murder. He pleaded guilty only to a 1998 arson charge and sentenced to 12 years in prison. While Prisco was in prison, Joseph LaScala supervised the crew. In 2002, Prisco was released after his appeal was denied because the State Attorney General's office requested his early release. In 2008, Prisco was tried and convicted for the Sangiuolo murder and received life sentence, and is currently located at the United States Penitentiary I in Coleman, Florida. In May 2012, LaScala was arrested and charged with illegal gambling. This crew was led by capo Peter LaPlaca until the mid-1970s, when Louis "Streaky" Gatto took over. Louis and his son, Joseph "The Eagle" Gatto Jr., led the crew, operating in the counties of Bergen and Passaic in North Jersey. They controlled large illegal gambling, loansharking and bookmaking rackets. The father-and-son duo used violence and fear to collect on these rackets, ensuring rivals would not take advantage of their activities. In 1989, Gatto Sr. was indicted on two murder counts and received 65 years, while Gatto Jr. was indicted on racketeering charges and received 30 months. Gatto Jr. was released in 1993 and assumed control of his father's crew. He expanded the crew's gambling operations by introducing the use of pagers and cell phones. By 1999, he was convicted on illegal gambling charges and took a plea deal where he admitted that he was a capo with the Genovese family. Gatto Jr. was released in 2003, but he was indicted again in 2004 for running Catalina Sports, an offshore wire room in Costa Rica. The sports bar allegedly grossed $300,000-$500,000 in profit per week. The conviction was overturned in 2005, but prosecutors tried again in 2008. Gatto Jr. died in April 2010 of natural causes, without being jailed. It is unknown who has taken over leading crew today. After capo Andrew Gerardo retired in the 1990s, this crew was taken over by Sicilian-born Silvio P. DeVita. The crew operates mainly in Essex County, where DeVita runs illegal operations such as gambling, loansharking, insurance fraud, extorting construction sites and union racketeering. DeVita keeps strong family and criminal ties to Sicily. The crew may increase in size by recruiting more Sicilians ("zips") who share blood and marriage ties with him. DeVita was placed on the New Jersey State Casino Control Commission Exclusion List, which bars him from any casino in that state. Ludwig "Ninni" Bruschi was first identified by law enforcement as a bookmaker in the 1970s. He continued to operate gambling operations and, by the 1990s, had risen to the ranks of capo operating in both South and North Jersey. He rose to power with the New Jersey faction with the absence of Fiumara, who had been imprisoned. After Prisco was jailed from 1994 until 2002, Bruschi gained more power within the faction. In June 2003, he was indicted for running a racketeering enterprise engaged in illegal gambling, loansharking and drug distribution. Bruschi was paroled from New Jersey State prison in April 2010. A capo is chosen as the New Jersey faction leader. Many of the faction leaders have held top positions within the crime family while being the leader of the faction. 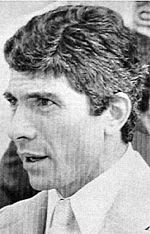 1978–1989 — Louis "Bobby" Manna – consigliere 1981-1989; imprisoned received a life Sentence in 1990. Acting 2006–2009 — Anthony "Tony D." Palumbo – imprisoned 2009. List of present members of the Genovese crime family's New Jersey faction (capos, soldiers and associates). Ralph Esposito – reputed member of family; soldier; was a shop steward for the International Longshoreman's Association Local 1588. He was indicted in 2003 on charges related to union corruption at several waterfront shipping terminals in New Jersey. Michael "Mikey Cigars" Coppola – acting capo in 1980s; in 2009 was imprisoned and sentenced to 16 years. Anthony "Tony D." Palumbo – former faction boss and acting capo. Palumbo's uncle Andrew Gerardo is a retired capo. In 2009, Palumbo was arrested and charged with racketeering and murder along with his driver Felice Massulo (an associate), soldier Rocco Petrozza, and others. In August 2010 Palumbo plea guilty to conspiracy murder charges. Angelo "The Horn" Prisco – former faction boss and acting capo. Prisco controlled operations in Hudson County waterfronts cities of Bayonne and Jersey City; Monmouth County and Florida. On August 18, 2009, Prisco was sentenced to life and is currently imprisoned in Florida. Lawrence A. Ricci – a former acting capo. In 1979, Ricci and Tino Fiumara were convicted of trying to extort a Parsippany, New Jersey restaurant owner. In February 2005, Ricci was charged with extorting thousands of dollars from the International Longshoremen’s Association. On October 7, 2005, Ricci failed to show up in court, on November 7, 2005 the absent Ricci his two co-defendants were acquitted on all counts. On November 30, 2005, the police discovered Ricci's body, he had been shot twice in the back and left inside of car trunk parked in Union, New Jersey. ^ a b c d Raab, Selwyn. The Five Families: The Rise, Decline & Resurgence of America's Most Powerful Mafia Empire. New York: St. Martins Press, 2005. ^ Harold Hutchings. Millionaire Racketeer, Hangs Self. Chicago Daily Tribune. February 27, 1959. ^ a b c New Jersey Organized Crime Report: "Singular Accomplishments"
^ a b c "Investigation: Teamsters' Watergate Connection" August 8, 1977. Time Magazine. ^ McNab, Matthew (May 23, 2012). "Feds charge 4 Bayonne men, 10 others with mob-run online betting operation". The Jersey Journal. Retrieved May 29, 2012. ^ "Alleged genovese organized crime family member and associates among 14 charged in racketeering conspiracy". District Attorney's Office of New Jersey. May 22, 2012. Archived from the original on May 25, 2012. Retrieved May 29, 2012. ^ Justo Bautista. April 16, 2010. North Jersey.com "Joseph Gatto, reputed captain in Genovese crime family, dies"
^ April 19, 2010. Mafia Today.com "Genovese NJ Capo Joseph Gatto dies"
^ a b c Ryan, Joe (February 4, 2009). "Three N.J. men are among 13 indicted in crackdown on Genovese crime family". The Star-Ledger. Retrieved May 29, 2012. ^ "U.S. Charges Former Acting Boss and 12 Other Members, Associates of the Genovese Organized Crime Family". Newyork.fbi.gov. February 4, 2009. Retrieved May 29, 2012. ^ Golding, Bruce (June 15, 2010). "Reputed Genovese capo charged in 1992 murder plot". New York Post. Retrieved May 29, 2012. ^ Gearty, Robert (August 31, 2010). "Capo Anthony Palumbo takes plea in '92 organized crime hit plot". New York Daily News. Retrieved May 29, 2012. This page was last edited on 25 January 2019, at 22:16 (UTC).